St John’s graveyard surrounds St John’s Church of Ireland which stands on the site of an earlier church, which dated from the 1200s. 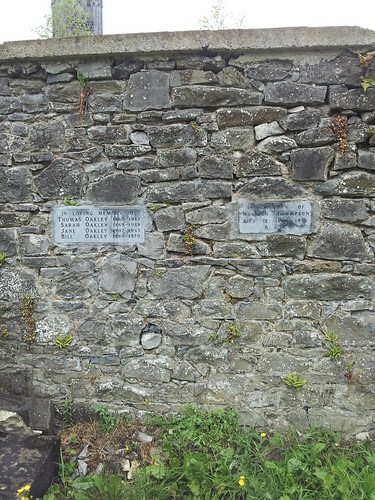 The walls around the graveyard were built in 1693 and present church was built in 1852. 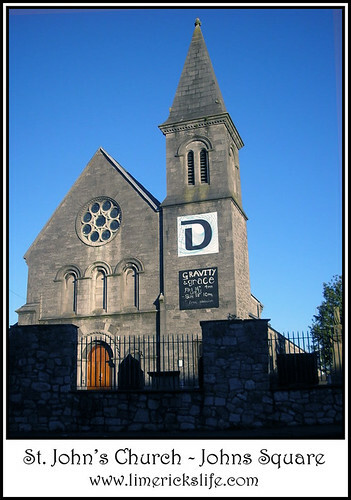 The church fell into disuse in the early 1970s and was handed over to the Limerick Corporation in 1975. 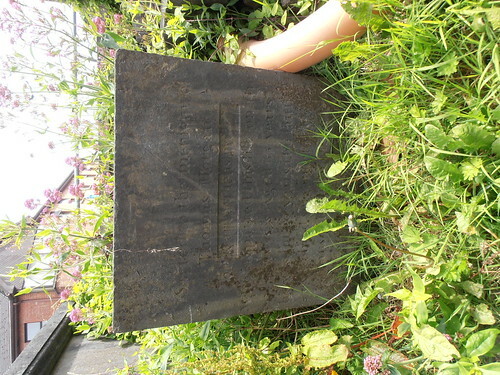 Click on the surname in the left column for a photograph of the headstone. 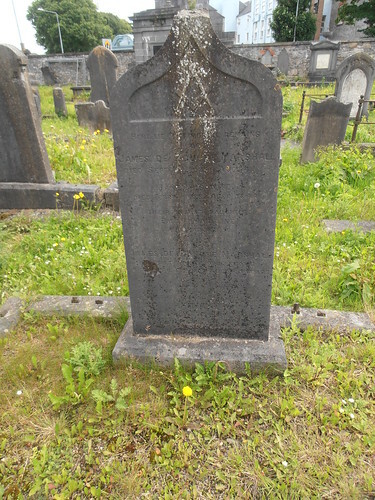 Where possible a link has been added of obituary reports from the Limerick City Library Local Studies directory of Obituaries from The Limerick Chronicle . 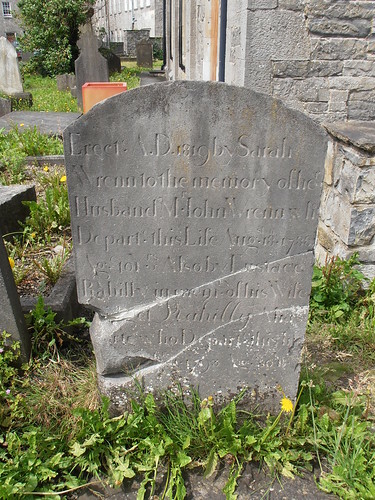 Hedigan Here lyes the body of … deceased March the 16th 1744 aged 79. 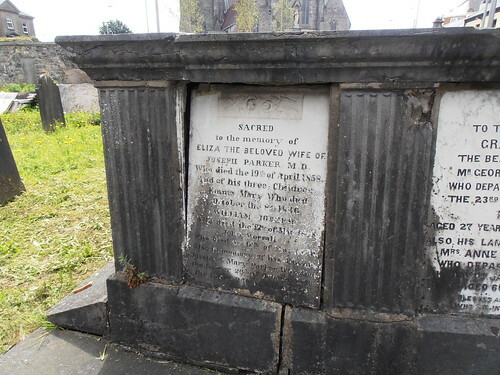 Also his wife Marge on May 1726 aged 60. 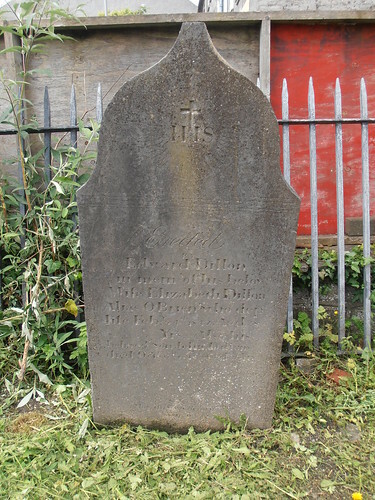 Also their daughter Eliza 1742 aged … pray … their daughter Catherine Hedigan died July 28th 1778 aged 78yrs. 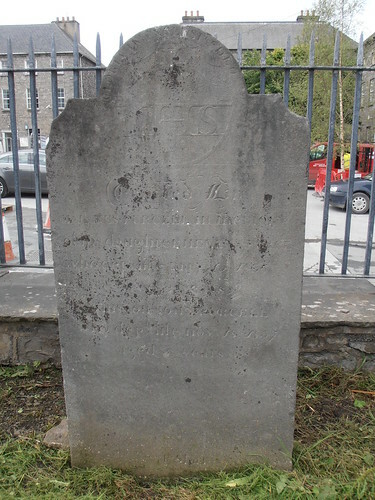 Henesey Here lieth the body of Mr John Henesey who departed life February the 5th 1796 aged 64 years. 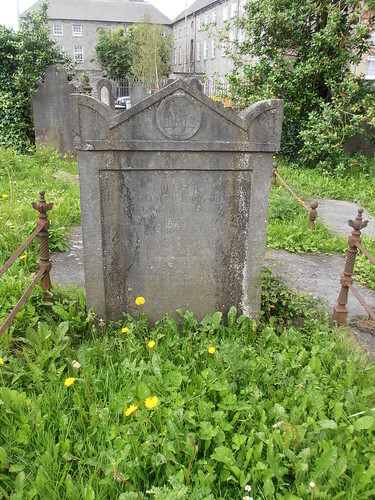 Also Patrick Henesey the son of John Henesey died Jun 16 1796 aged 39 yers. 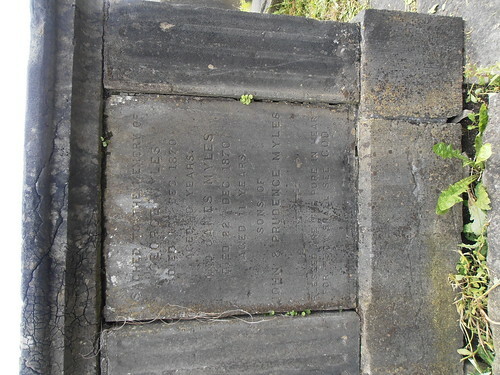 Also Francis Bunton who died Jan 1st 1804 aged 29yrs. 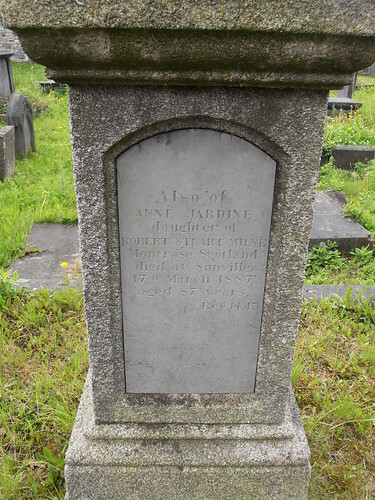 And Anne Henesey wife of John Henesey who died Sep … aged 7? Yrs. 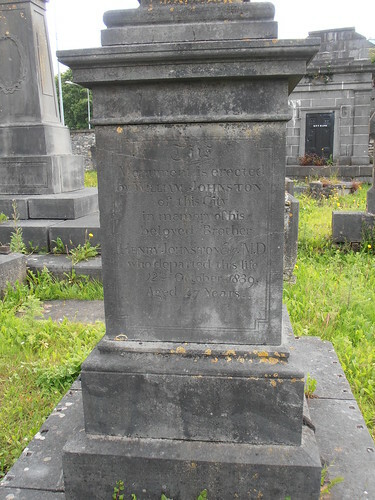 Johnstone This monument is erected by William Johnston of the City in memory of his beloved brother Henry Johnston Esq. M.D. 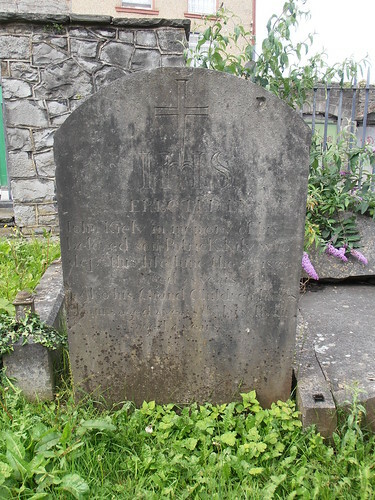 who departed this life 12th October 1839 aged 27 years. Johnstone To the memory of William Johnstone JP Somerset House Blackrock Co. Dublin. Born in this city died August 31st 1870 aged 63 years. 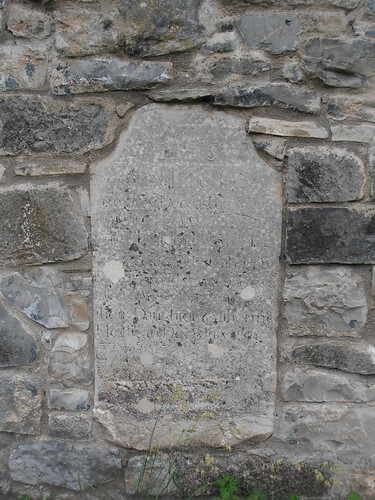 As a tribute of love and attachment to her sincerely loved and affectionate husband this tablet is erected by his afflicted and sorrowing widow. 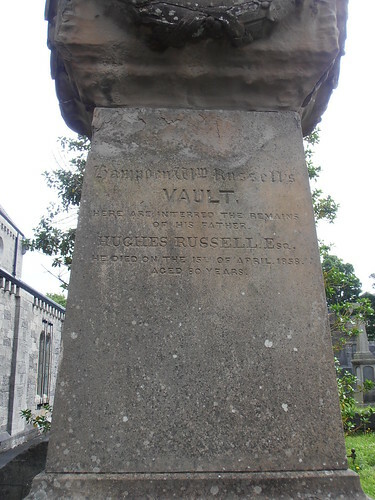 Ivers, Keane Philip Russell’s Vault. Here are interred his rewards. 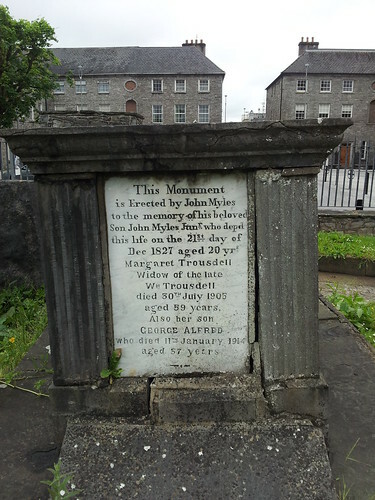 He was born on the 6th of March 1750 and died on 24th of June 1832. 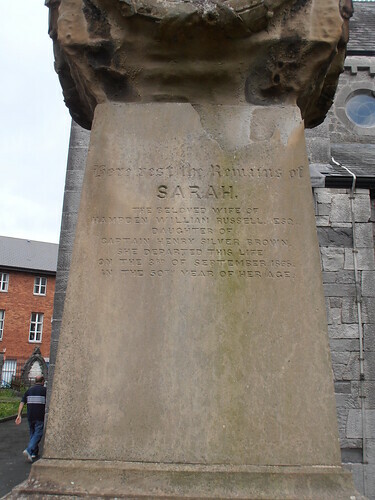 In this tomb also rest the remains of his wife Susan daughter of Lt. Col. Keane and his sons Francis Philip Henry Ivers and Whitecat Keane Russell, also his son-in-law James Buo? Ewart, Capt 93rd Highland Reg. of Foot, and of his wife Elizabeth Ewart. 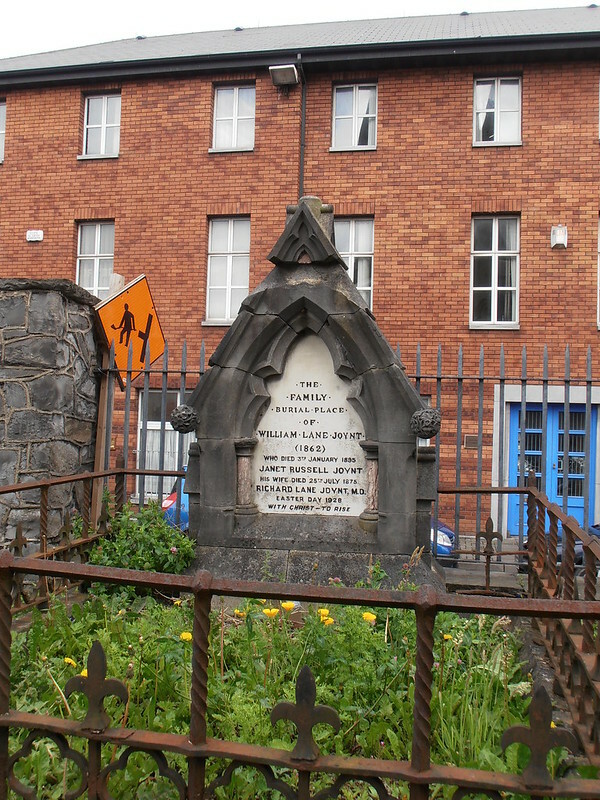 Kiely Erected by John Kiely in memory of his beloved son Patrick Kiely who depd this life June the 8th 1834 aged 28 years. Also his grand children James Banks aged 2 years & Mary Ryan aged 4 years. 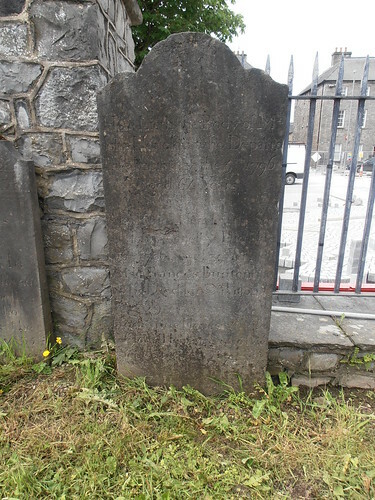 Kirby Erected to the memory of John Kirby who departed this life May 22nd 1847. 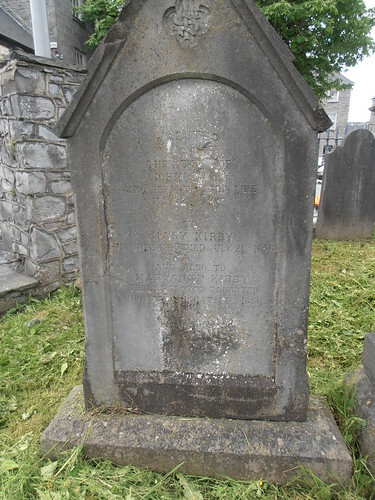 To Mary Kirby his wife who died July 21st 1856. 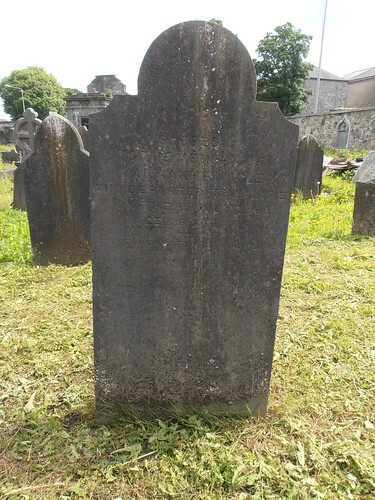 And also to Mary Anne Kirby their beloved daughter who died August 17th 1856. 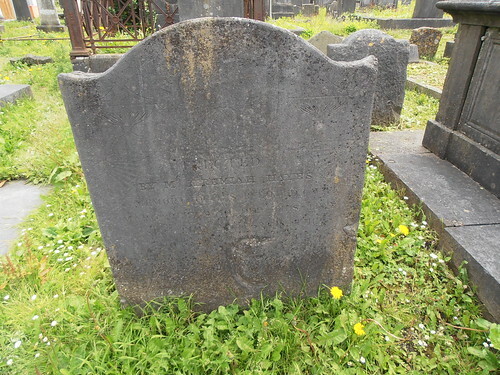 Llyod Rebecca Ashion Llyod died 1812 aged 61 years buried 5th August. 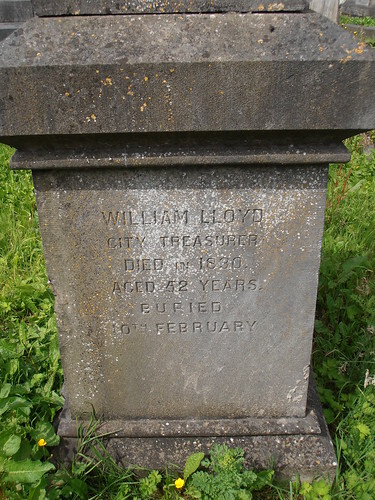 Llyod William Lloyd, city treasurer died in 1830. Aged 42 years buried 10th February. McCloskey In loving memory of Thomas Sheehy died 5 may 1929 his grand-daughter Delia McCloskey nee Sheehy died 12 Nov 1988. 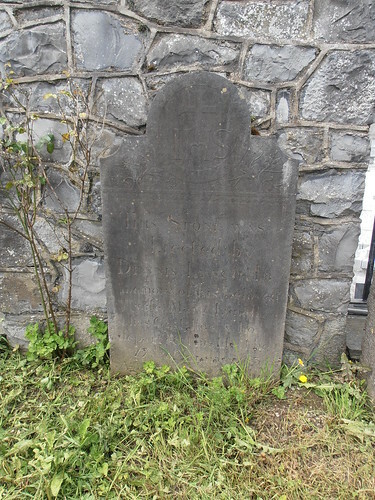 Morgan Erected to the memory of Thomas Morgan …… who departed this life on ….. 1838 aged 55 he was of 20 years the faith…. Myles Sacred to the memory of George Myles died 18th Dec 1870 aged 10 years. 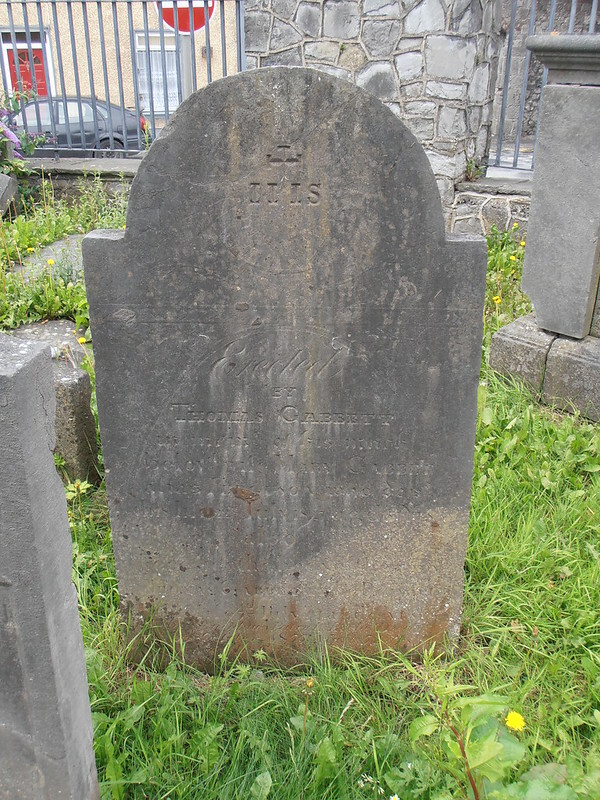 And James Myles died 22nd Dec 1870 aged 11 years. Sons of John & Prudence Myles. 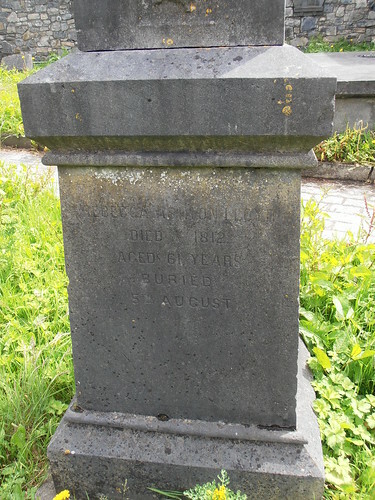 Myles This monument is erected by John Myles to the memory of his beloved son John Myles Junr who depd this life on the 21 day of Dec 1827 aged 20 yr. Margaret Trousdell widow of the late Wm Trousdell died 30 July 1905 aged 59 years. 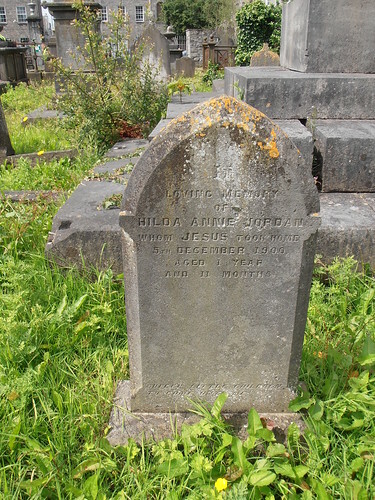 Also her son George Alfred who died 11 January 1914 aged 57 years. 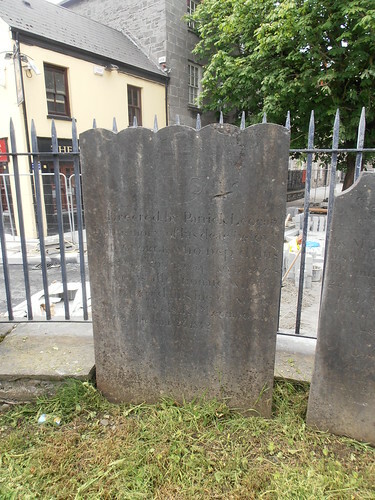 O’Brien Is erected by Michael O’Brien in memory of his beloved wife Johanna who departed this life January 2, 1834 aged 52 years…. O’Connor 42. 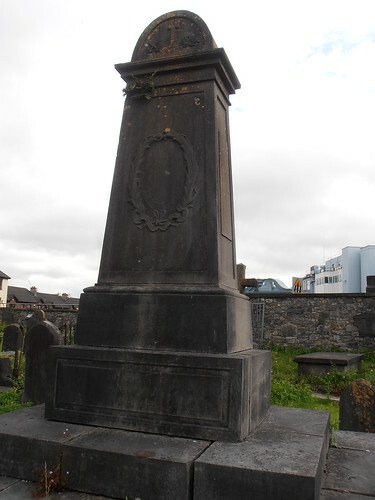 Erected by Patrick and James O’Connor in memory of their beloved mother Mrs Johanna O’Connor who departed this life on the 21st of February 1850 aged 72 years. 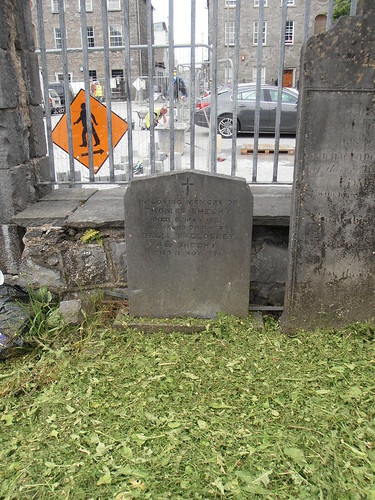 Also the aboved Patrick O’Connor dep this life … Oct 1852 aged …..
O’Shaughnessy Erected by Mary O’Shaughnessy in memory of her husband Robert O’Shaughnessy. 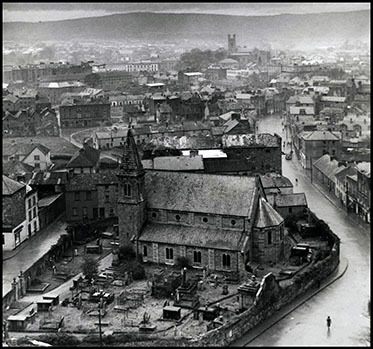 Feb 1842 aged 64….. Joseph Cromer December 9 1930 aged 52. George C. Cromer 6 Nov 1948 aged 85. 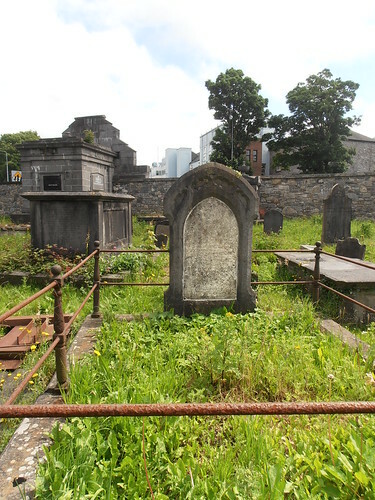 Parker Here also repose with those of her sister and daughter the mortal remains of M Eliza Parker widow of this city who fell asleep in Jesus April 18th 1869 aged 80 years. 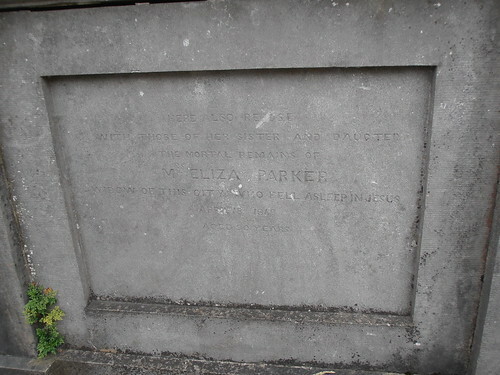 Parker Sacred to the memory of Eliza the beloved wife of Joseph Parker M.D. 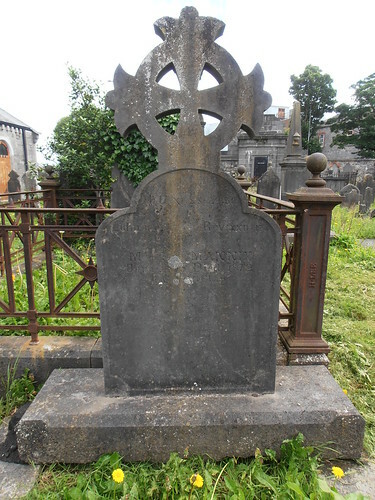 who died the 19th of April 1858. 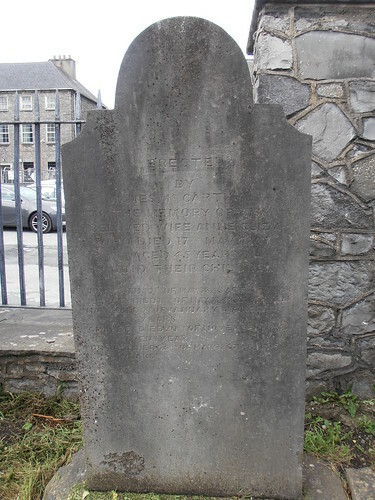 And of his three children Emma Mary who died October the 8th 1846. 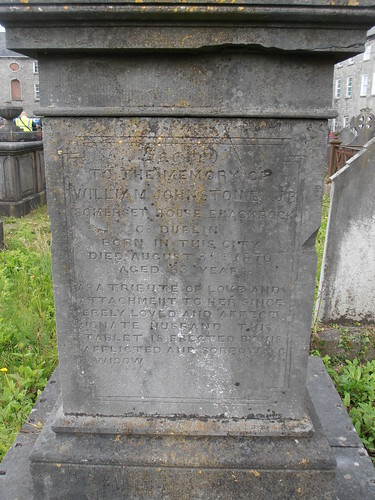 William Joseph who died 17th of May 1848. 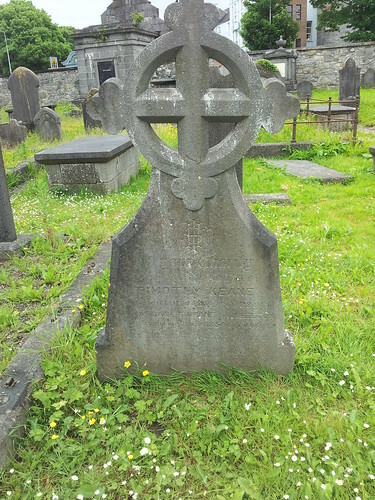 John Worrall who died 17th of May 1848. 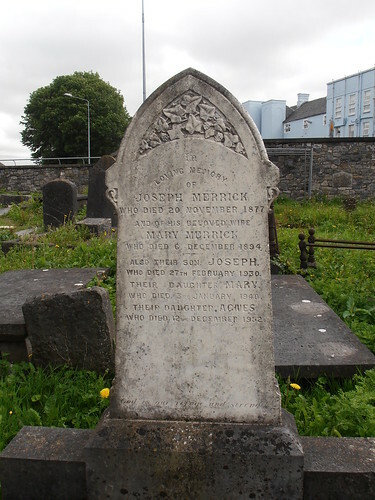 Also in memory of his parents Joseph & Mary Parker who died the former 26th October 1836 the later 24th of June 1832. 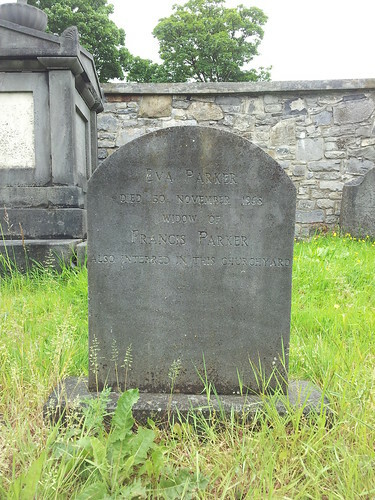 Parker Eva Parker died 30 November 1968 widow of Francis Parker also interred in this churchyard. 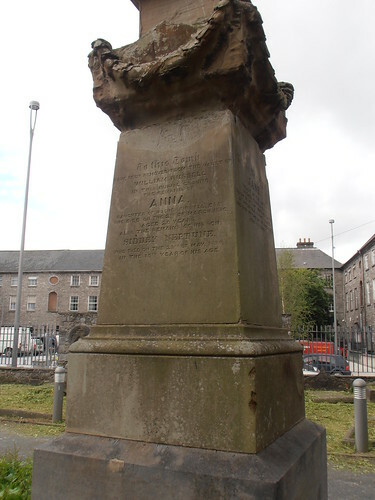 Purcell Erected by Mr. James Purcell in memory of his daughter He?? Who dep life May .. .. aged 3 years. 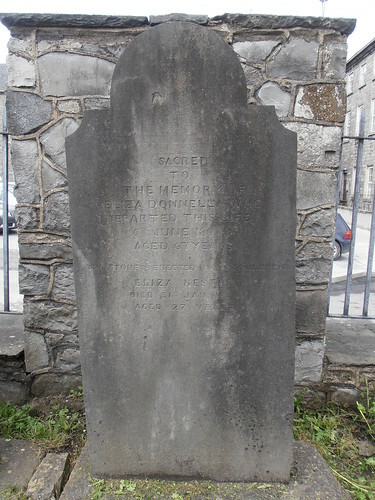 Also his son John Purcell who dep life nov .. 1837 aged 3 years. 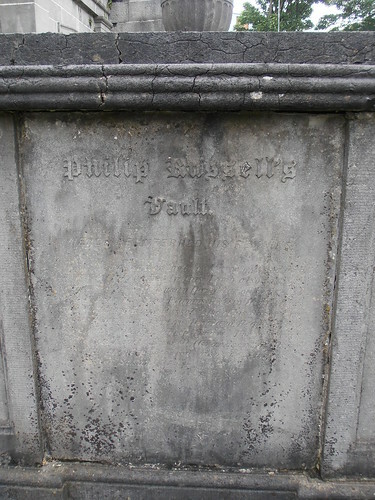 Russell To this tomb have been removed from the vault of William Russell in this burial ground the remains of Anna daughter of Hughes Russell Esq. 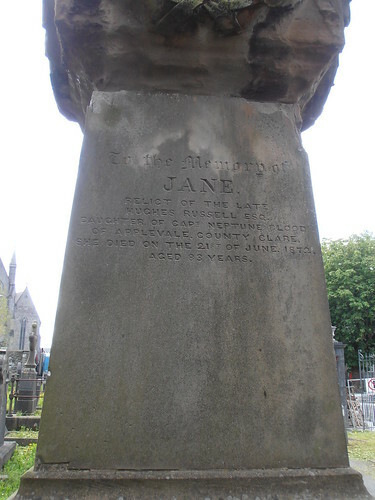 She died on the 2nd of March 1830. 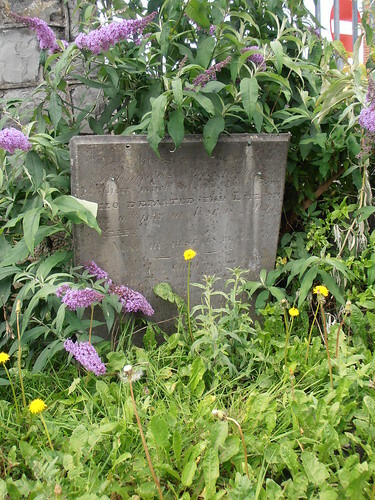 Also the remains of his son Sidney Neptune who died on the 23rd of May 1838 in the 19th year of his age. Russell Vault Philip Russell’s Vault. Here are interred his rewards. 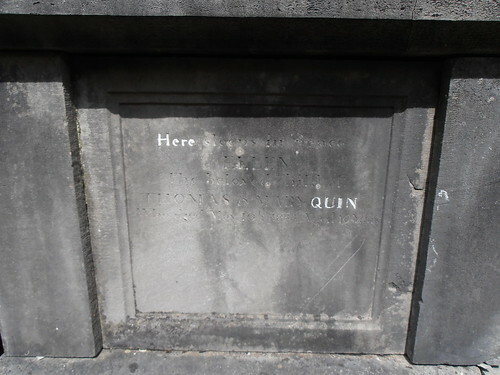 He was born on the 6th of March 1750 and died on 24th of June 1832. 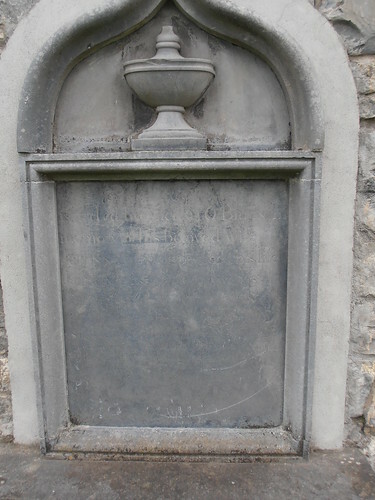 In this tomb also rest the remains of his wife Susan daughter of Lt. Col. Keane and his sons Francis Philip Henry Ivers and Whitecat Keane Russell, also his son-in-law James Buo? Ewart, Capt 93rd Highland Reg. of Foot, and of his wife Elizabeth Ewart. 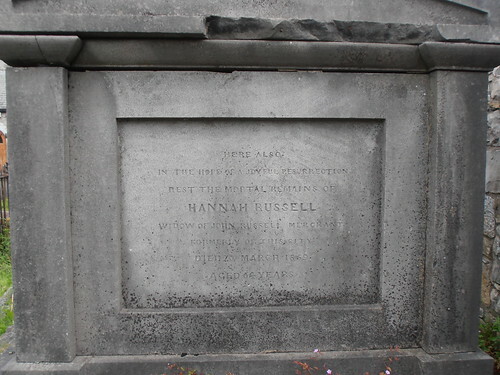 Russell Here also in the hope of a joyful resurrection rest the mortal remains of Hannah Russell widow of John Russell merchant formerly of this city died 20 March 1859 aged 64 years.